Thank you for considering donating to LSI. 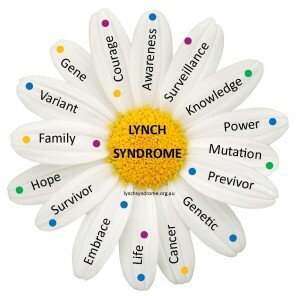 Lynch Syndrome International is a 501 (c)(3) public charity, IRS Tax ID 27-0571530. All donations are tax-deductible as allowed by law. Our operational costs are minimal and all donations are utilized toward project based efforts. Donated funds are utilized toward LSI targeted projects and basic operating costs. Ten percent of all general donations received is targeted toward assistance in financing research endeavors and ten percent of all non-targeted contributions is directed toward providing financial assistance for patients. The remaining funding goes toward our public awareness projects, including Lynch Syndrome Hereditary Cancer Public Awareness Day each March 22nd of each year, providing tens of thousands of physicians with information on Lynch syndrome each year, exhibiting at trade shows, working with organizations and coalitions to promote Lynch syndrome awareness and education, sponsoring Lynch syndrome events through the country and across the globe, distribution of publications, creation and distribution of radio spots, recruiting for Lynch syndrome clinical trials and advocating for hereditary cancers with state and federal lawmakers. In order to stretch every dollar received, we operate on a shoe string and are truly depression proof. In lieu of paying the over $200,000 cost of maintaining a headquarters, expensive insurances and benefits, staffing and other overhead, we work off modern technology, receiving our software for meetings, communication and conferencing from in-kind donations or though nonprofit donation services. Every dollar counts! Each is the equivalent of nine brochures. $50 is the equivalent of 500 brochures, one of which most likely will reach a Lynch syndrome family and perhaps save five to ten lives from inherited cancers. LSI operates as a true nonprofit, in every sense of the word and our success is directly attributed to the outstanding volunteers who are passionate in working with us, in a grassroots manner, throughout the world. Lynch Syndrome International utilizes JUSTGIVE.ORG, a nonprofit organization, to process all our online and credit card donations. It is a fast and user friendly process to contribute toward a very worth cause that will protect families and save lives. Simply click on the green link below. Another method for contribution is through www.igive.com. This occurs by utilizing merchants, nationwide, who will donate a certain percentage of what is spent to LSI. We encourage individuals to consider this by simply registering with them and shopping with their online merchants. If you have any questions about donating, please don’t hesitate to contact us at the phone number listed above or through email. Thank you for your compassion. You may rest assured your contribution will protect families and save lives.